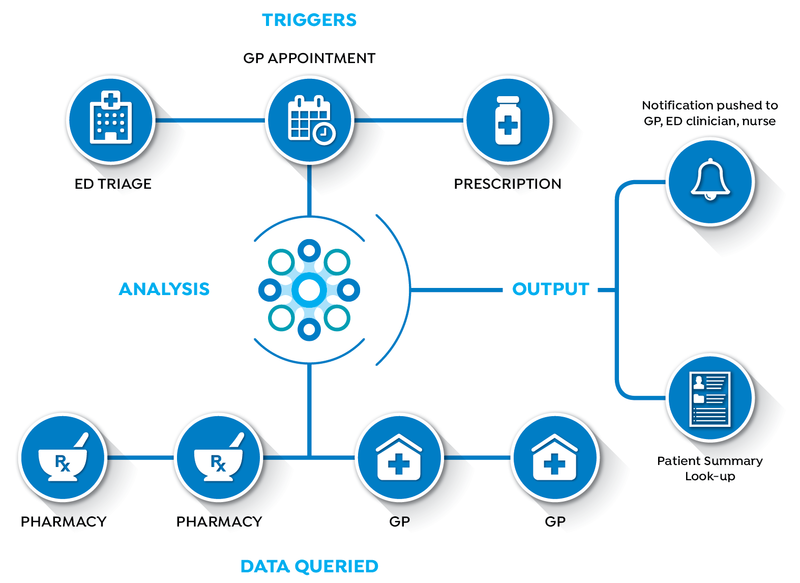 A ground-breaking New Zealand service that detects and prevents serious medication and treatment-related harm in real time has been approved for roll out across the health sector. Conporto Event Detection and Mitigation (Conporto EDM) is a new software solution that detects and notifies clinicians of serious harm events and solves one of the health profession’s biggest issues – access to a patient’s full medical history when making treatment decisions. The service has been developed by Conporto Health, the commercial arm of Patients First - a health IT not-for-profit owned by the Royal New Zealand College of General Practitioners and General Practice New Zealand. Conporto Health chief executive Helmut Modlik said the technology is a world first and would be a game changer for the health sector. “Currently three out of 10 patients admitted to New Zealand hospitals are harmed by medications given to them because medical professionals are having to make treatment decisions without a full picture of what is going on for a patient – both in terms of their medical history, and other vital information that can affect treatment decisions. The Conporto EDM system works by using secure software installed on computers of hospitals, medical practices, pharmacies and other health care providers to effectively ‘join the dots’ between a person and their various interactions with the health sector. “A notification is triggered by an appointment, prescription, an emergency department admission or other kind of health encounter,” Mr Modlik said. Notifications are delivered by a secure email system –hMael – specifically developed by Patients First to deliver confidential patient information. Mr Modlik said getting the okay from the Ministry of Health to go to market was a key step in deploying the service nationwide. “We’ve just been through a very thorough ‘proof of concept’ trial where Conporto EDM has been used by a significant number of health providers over several months. “This allowed us to refine the service in real world situations and provide evidence of its effectiveness in detecting potential harm events, alerting medical professionals in ways that work for them, and improving health outcomes for affected patients. Mr Modlik said the proof of concept had also confirmed for the Ministry of Health that there should be a requirement for harm event detection being available in all general practice. “Based on the success of the trial and the feedback we have received to date we are extremely confident we will have strong response from the sector to take up and use the service.